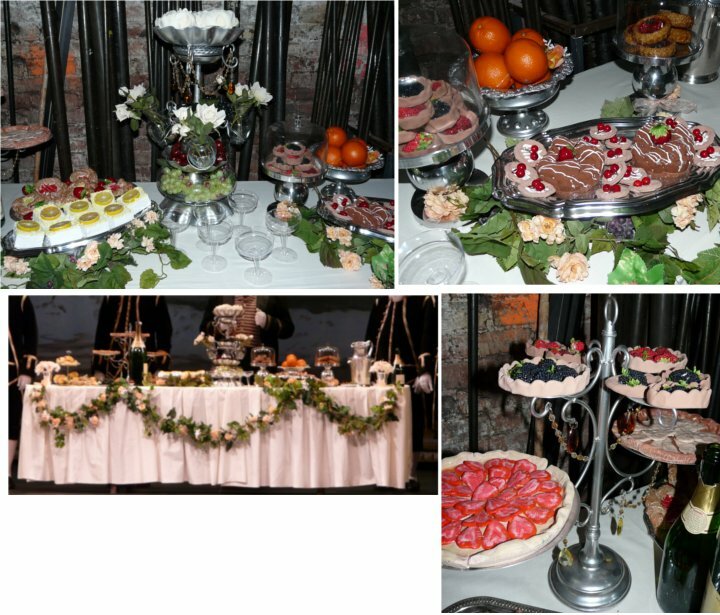 Spread of fake food for wedding banquet during the finale of the opera. Tartlets and pies made from air-dry kids clay and Sculpey (for strawberries and pears pie fillings), styrofoam cakes with faux lemon slice tops, and croissants cast in flexfoam. Centerpiece was an epergne built from fishbowl, cake stand, votives, and plastic dishes.